The story: Jack and Annie set off on a mission to save a puppy who is under a spell. In order to set him free, they must bring back a gift from a lost ship - The Titanic! Can Jack and Annie save their new friends? Can they save themselves? Mama opines: I was a bit wary about David reading this one because it's obviously a very sad story. I didn't want him to freak out if we decide to go on a cruise someday or the next time his grandparents invite him to come on their boat. I have to applaud Mary Pope Osborne for handling this tragedy in a way that is good for kids. He knows the story now, but Osborne does it in a way that isn't terrifying for her readers. 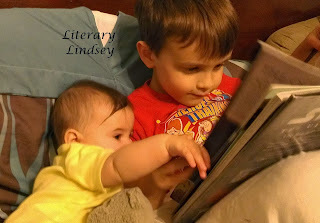 Thoughts from David: Well, you could say to your friends that it is Magic Tree House. Y'all know that it does have Jack and Annie, two characters who always save the world. You do know that it's called Magic Tree House because it's a magic tree house! Their friend is Morgan le Fay. Sometimes I say to my friends, "Have you ever read Magic Tree House books?" I've got to say that Magic Tree House is a little magical. Sometimes I feel magic feelings stirring in my head. 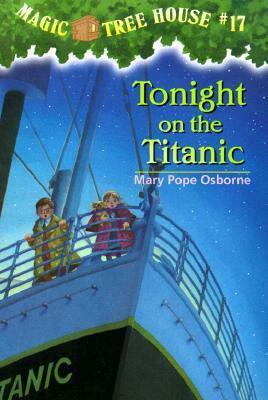 Sometimes when I read a Magic Tree House book, they are so confusing that my brain spins around in my head! Well, that's all for now! Bye!